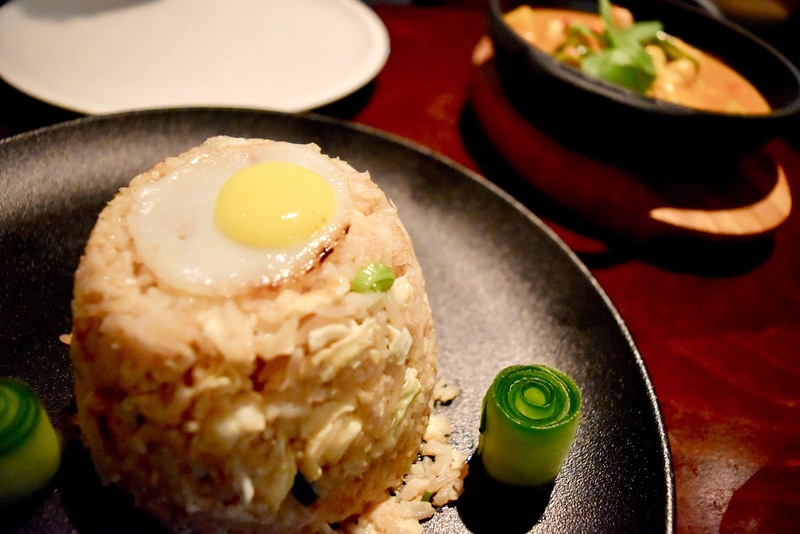 Chaophraya: Thai Restaurant launches new menu! One of my most favourite things in the entire world is food... I love food! So what better way to celebrate the colder months than eating lots of delicious, hot Thai food?! 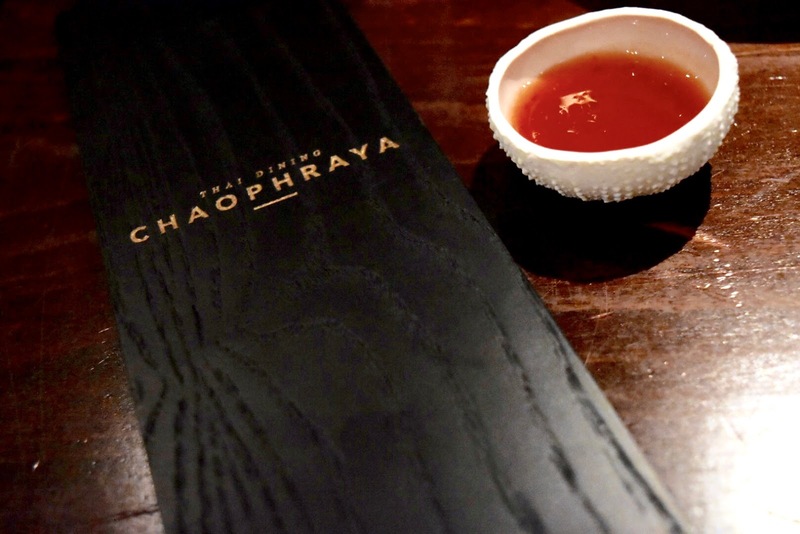 Chaophraya kindly invited us along to the launch of their exciting new menu. The manager was telling me that the restaurant has had the same menu for years now so of course, they performed their new menu research in style! 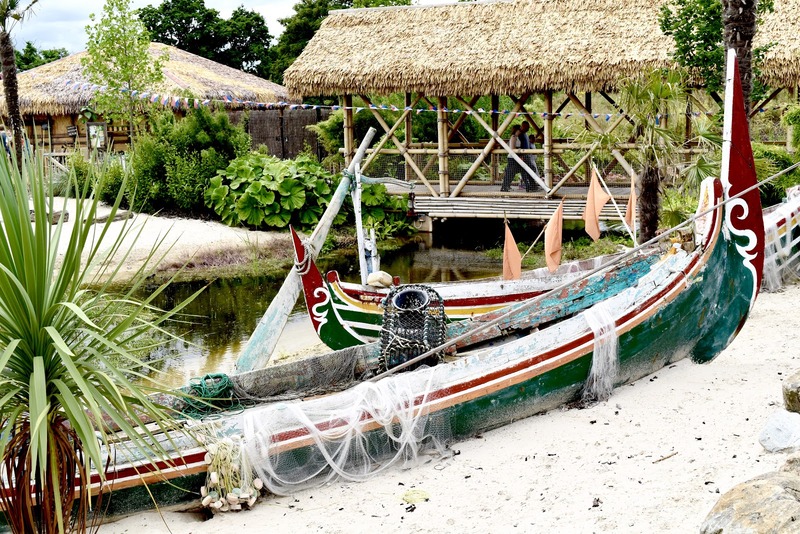 Sending a group of their top chefs over to Thailand in order to research the latest developments in Thai cuisine. The result of this is a stunning array of mouth watering bites to make any foody foam at the mouth! So let's start with the menu look... It's no surprise to me that Chaophraya would choose the most luxurious materials for their menu. Made, from what felt like, an outer wood front and back, opening in the style of an accordion which makes choosing your meal even more fun! Each section of the menu is filled with so much choice, which I absolutely love! Their is something for everybody and you can even choose how hot you would like your food which means anybody can eat here. There are also veggie options which sounded extremely delicious! Before I get to what we ate, I also want to mention all of the staff at Chaophraya Liverpool who were all so lovely and welcoming... Thank you guys! 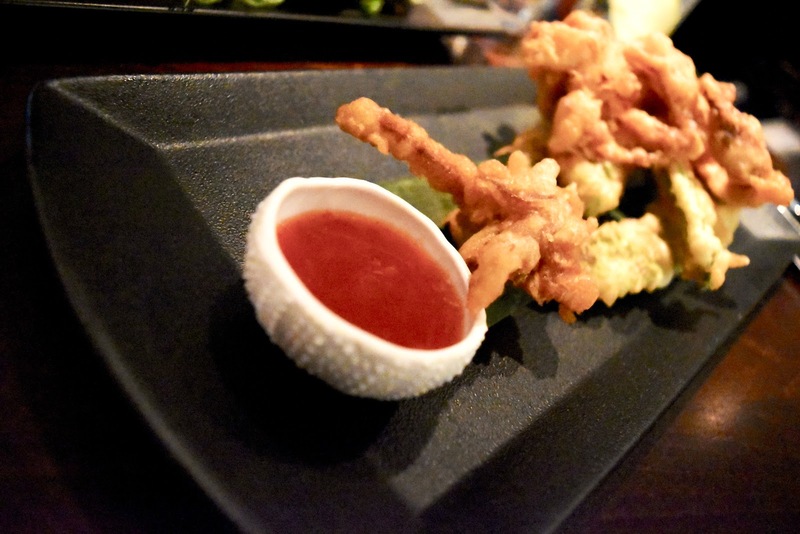 Soft Shell Crab and Shrimp Tempura - "Soft shell crab and squid in a light crispy batter along with wing bean and asparagus tempura with chilli & lime avocado dip". Thai Fish Cakes - "Spicy cod and coley fish cakes blended with our special recipe of green beans, lime leaves and red curry paste served with a sweet chilli sauce and a peanut vegetable relish". 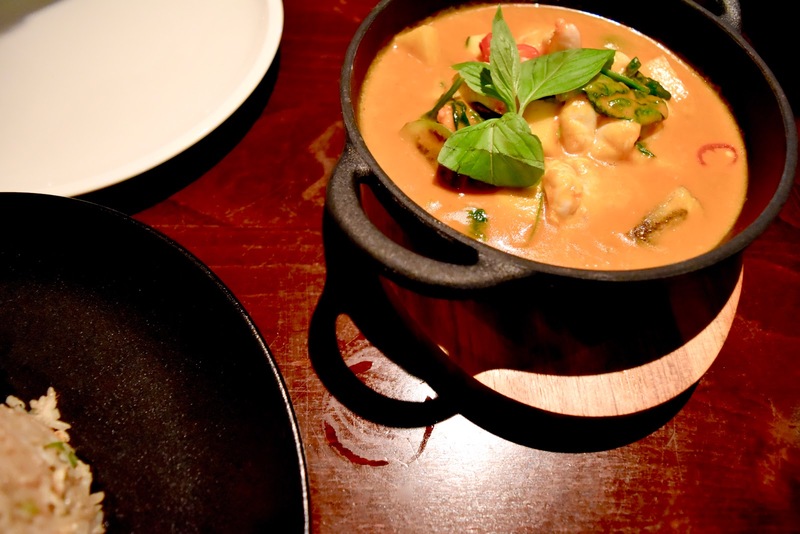 Thai Red Prawn Curry - "King prawns cooked with a red curry paste from dried chillies in coconut milk with pineapple, courgettes, Thai aubergine and sweet basil". 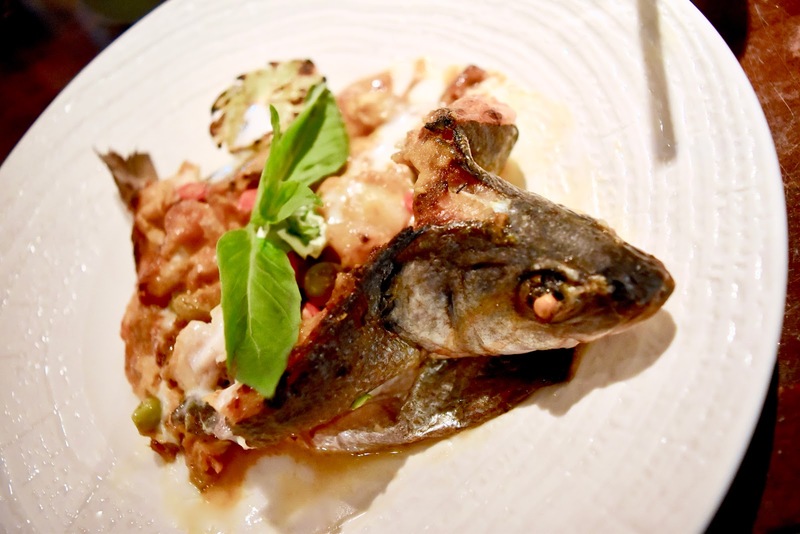 Yellow Fish Curry - "Whole sea bass baked with creamy yellow curry, potatoes, baby onion and Thai aubergines". 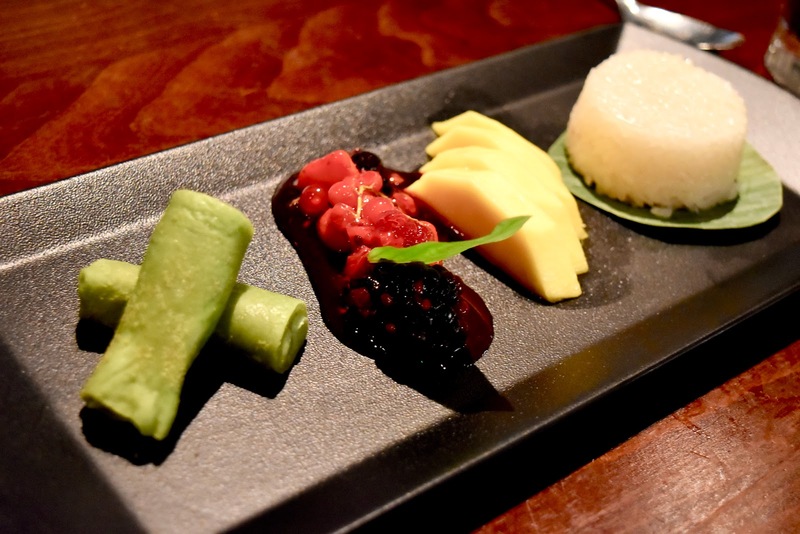 Thai Dessert Sampler - "A duet of traditional Thai pancakes with pandan leaf custard and mango sticky rice". 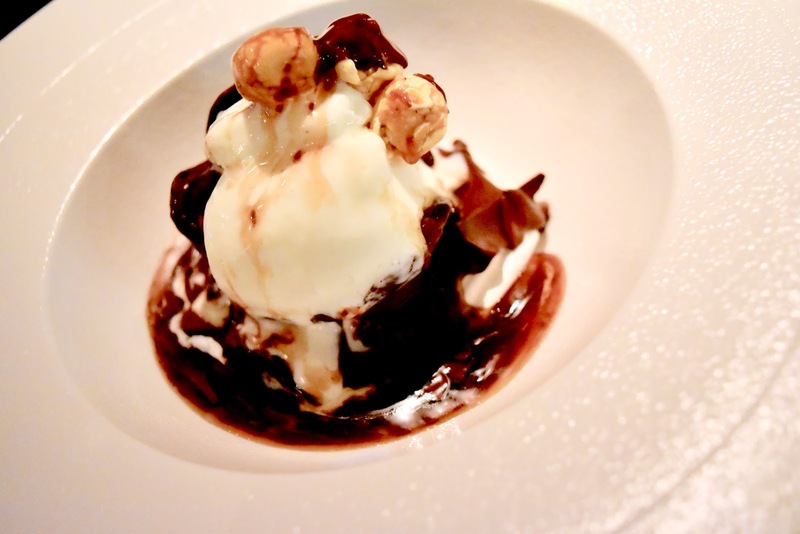 Chocolate Bombe - "Melting chocolate bombe with Thai whiskey ice cream and honey and toasted sesame popcorn centre with hot caramel sauce". We also had a variety of incredible drinks! (Junzu Negroni) - "Jinzu Gin, Campari, Carpano Antica Formula". We were also surprised with two mysterious cocktails. Mysterious as I am not sure what they are called but they were incredible! 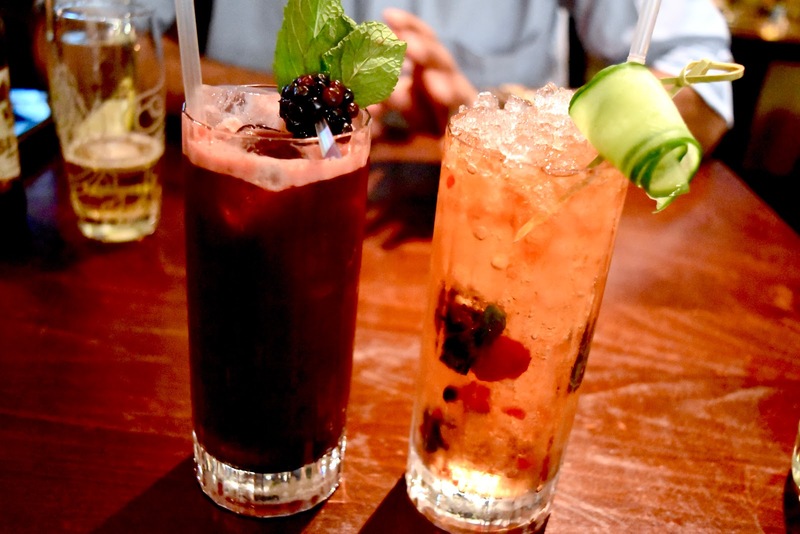 I believe that one may have been Hendricks and the other The Botanist but I am sure if you show the team at Chaophraya this image, they will certainly point you in the right direction! So back to our experience... The atmosphere at Chaophraya is so lovely. It would be absolutely perfect for a first date as well as any sort of celebration. The decor is very luxurious and there are lots of beautiful things to look at... Especially the staff! The food was absolutely stunning! I cannot fault one single bite and the hubby also felt the same. We split our starters and everything was so delicious and packed full of flavour. Now the mains, they were on a whole other level! I am not even joking, I just tasted the best curry I have ever eaten in my entire life! That Yellow Fish Curry is to die for as well as the Thai Red Prawn Curry which I stole a few bites of from the hubby! Over to desserts, well what can I say?! The Thai Dessert Sampler was just picture perfect and was very delicious but look at this beauty that I chose (below)... I know! What a beautiful sight! Overall, I rate this experience at the top of my Thai cuisine tasting list... I left feeling very satisfied and cannot wait to go back and try some more! 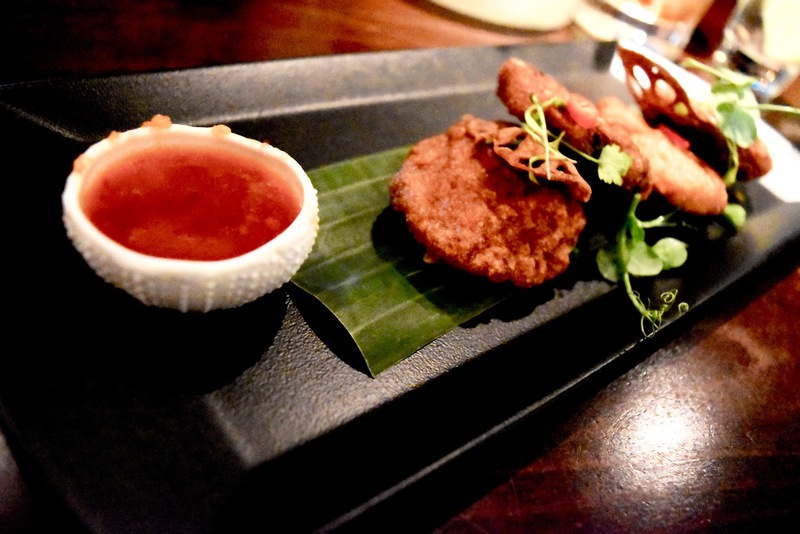 Make sure to let me know, in the comments below, what you have tried from Chaophraya!